Conventional topographic databases, obtained by capture on aerial or spatial images provide a simplified 3D modeling of our urban environment, answering the needs of numerous applications (development, risk prevention, mobility management, etc.). However, when we have to represent and analyze more complex sites (monuments, civil engineering works, archeological sites, etc. ), these models no longer suffice and other acquisition and processing means have to be implemented. 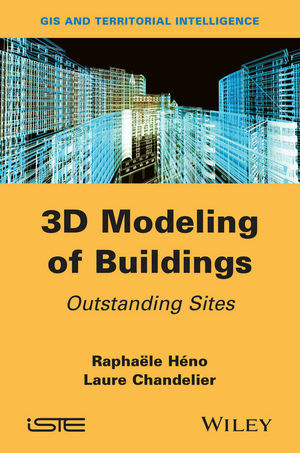 This book focuses on the study of adapted lifting means for “notable buildings”. The methods tackled in this book cover lasergrammetry and the current techniques of dense correlation based on images using conventional photogrammetry. 1. Specific Requirements for the 3D Digitization of Outstanding Sites. 2. 3D Digitization Using Images. 3. 3D Digitization by Laser Scanner. 6. Management and Use of Surveys.